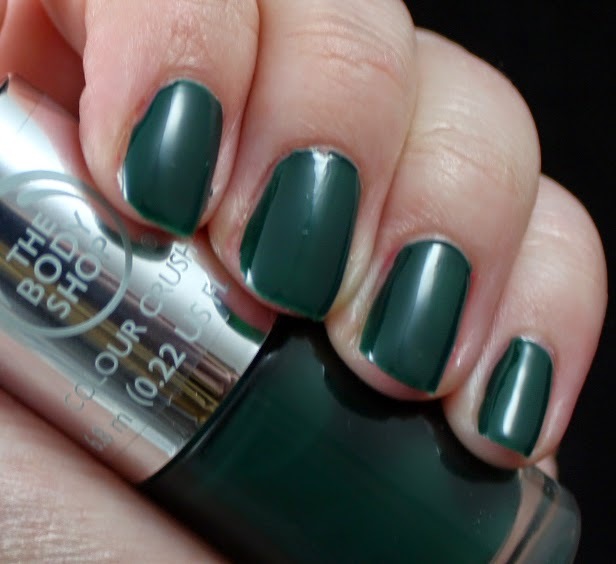 Holly and Polish: A Nail Polish and Beauty Blog: The Body Shop Manicure Must-Haves! 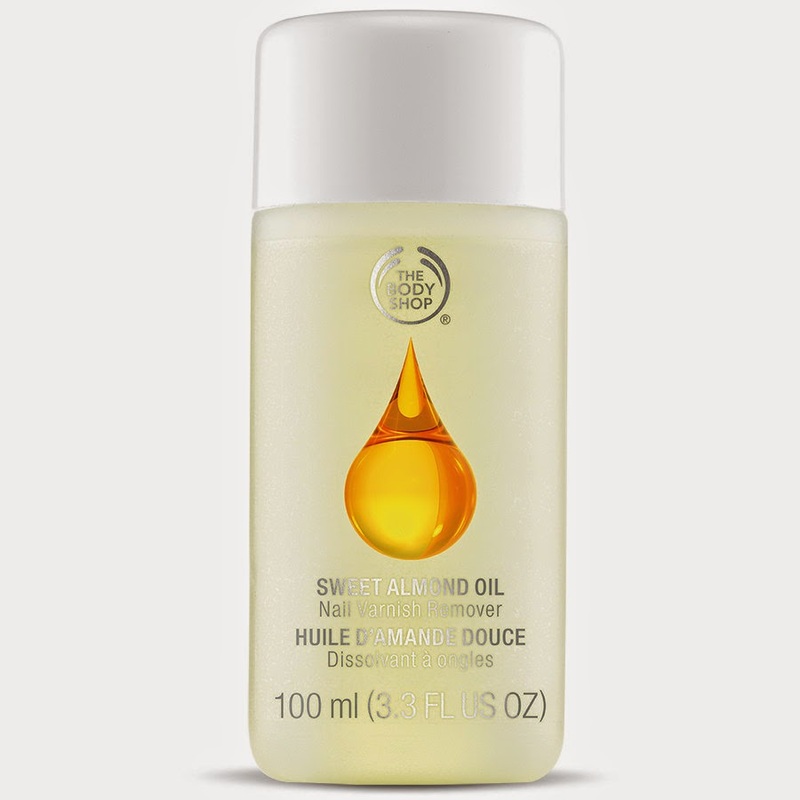 I am back today with a review on some of The Body Shop's nail products! This was my first time trying out any of The Body Shop products, so I was pretty excited to get to try out some of their polishes, their nail polish remover and nail tools. Just a fair warning: I lost my memory card and was in a hurry to get this post up, so there's not going to be a ton of images in this post. I did, however, have a few weeks to try out the products, so you will still get my honest opinion! 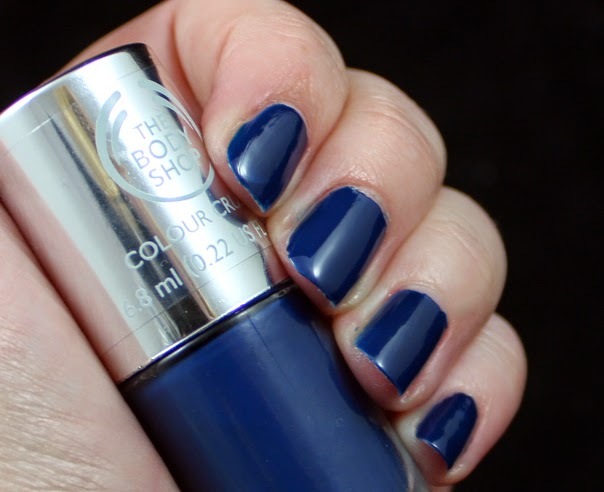 I had the opportunity to review four different polishes: Crazy for Blue, The Body Shop Green, Frosting Fancy and Cupid Pink. All of the polishes were pretty thick and pigmented. I only used one coat on three of the four colors (Frosting Fancy needed two!). As I mentioned above, I was in a hurry to get these swatches done, and had I had the time, I probably would have controlled the amount of polish I had on the brush and would have done three very thin coats instead. 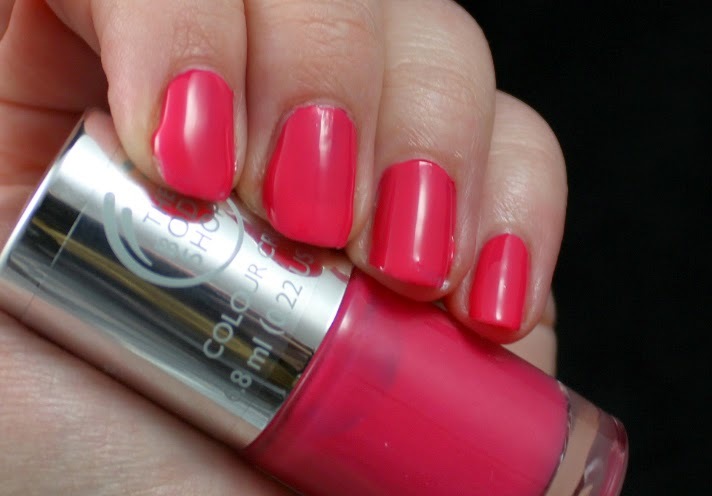 I wore Cupid Pink last month and it lasted three days without chipping. I used Miracote as a top coat during those few days. Also, I feel it's important to note that I play piano for a living, so my nail polish never lasts that long. These polishes retail for $8 or 3 for $20 at The Body Shop website. Honestly, I am in love with this stuff! As a nail blogger, there have been days where I have tried on 8 different polishes just to get pictures. Taking the nail polish off always dries out my hands and makes them all red looking in my pictures. 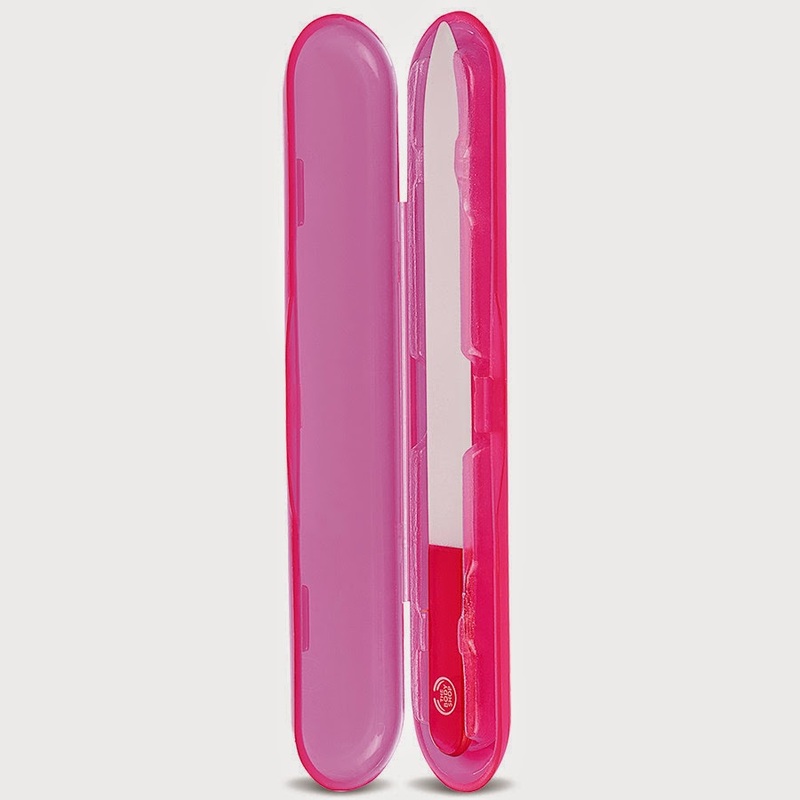 When I used this stuff, I actually felt like my fingers were smoother than before I used it. That never happens with nail polish remover! Also, it removed the polish pretty well. I used a very pigmented blue nail polish and I was able to successfully remove it without having any "smurf hands" after, which I appreciated. This remover is pretty pricey at $10 for a 3.3oz bottle. I don't have much to say about this one. 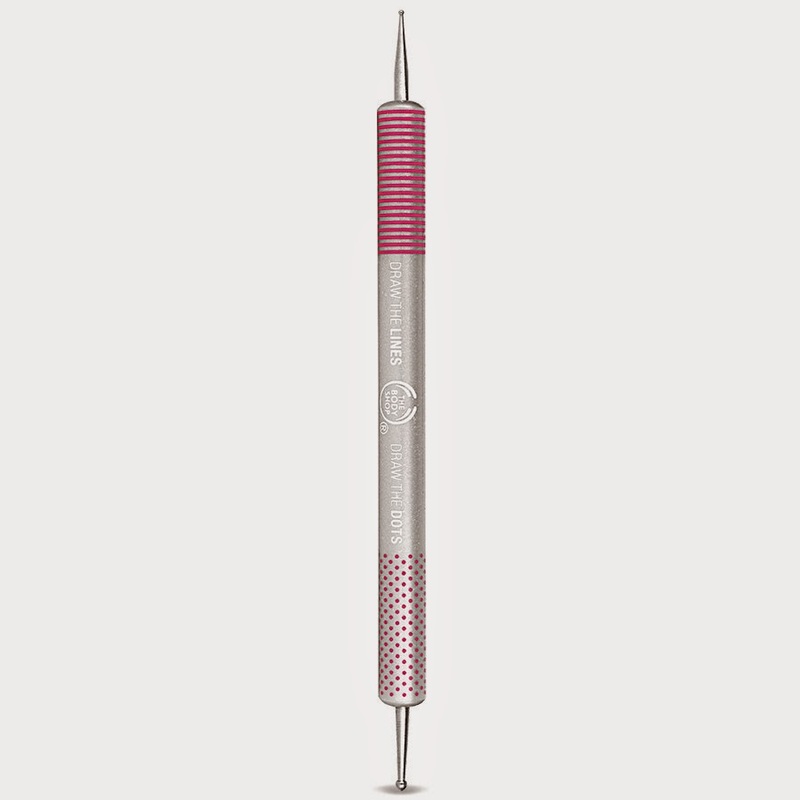 This is just your average dotting pen. It worked great, just like the other dotting pens I've used in the past. I usually just use cheap nail files (usually just buy them for $1), so this was my first time filing my nails with something kind of fancy! I really liked it! This came in a nice case and was really easy to clean. Thanks for reading! I know my posts have been few and far between lately, but I have a lot of great posts coming up this month, so be sure to keep an eye out! Talk soon!